China's agricultural users more rational, more favored good reputation, advanced technology, stable performance, high-end products and good service. 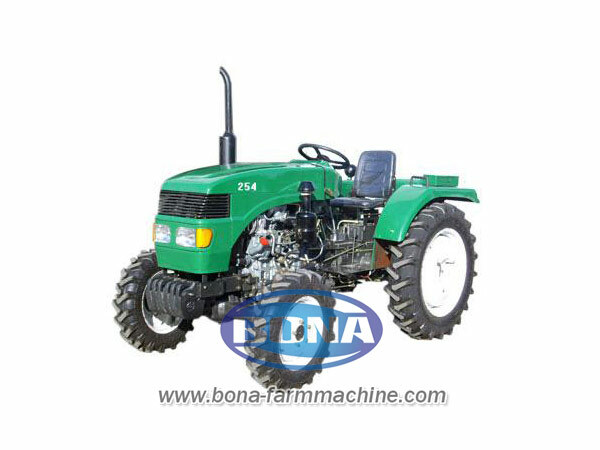 Bona’s agriculture tractor current supply and booming situation, it continued to benefit from the business in recent years to improve the technology, quality, marketing, management aspects. Our HP series tractor(eg,22-25HP Tractor,walk behind tractor)is with a larger footprint and increased ground engagement, these tires reduce compaction and improve traction, thus making each trip more productive with less impact to the field. Since last year, we accelerate the new strategy, product quality continued to improve, a large number of advanced production equipment, but also enable enterprises to continuously improve the level of manufacturing, assembly, quality has been effectively guaranteed. Meanwhile enterprises to increase technology investment, optimize marketing strategies, strengthen service support, accelerate structural adjustment, has introduced high-end products for the market demand, it is these fruitful work, so that the agriculture tractor further enhance market competitiveness. Industry data show that this year, the market performance is superior to the Bona’s Tractor products other companies in the industry. Even in the small wheel tractor field, Bona’s HP series of high-end small wheel tractor product sales hit record highs.